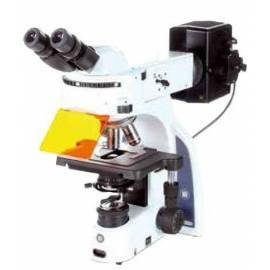 Trinocular microscope fluorescence iScope IS.3153-PLFi/6 eyepieces EWF 10x / 22 mm plan PLi FLuarex. 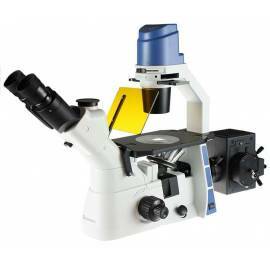 Objectives of the IOS oil 4/10 / S40 / S100x, stage without zipper, vapor of mercury HBO 100W fluorescence illumination with 6 positions filter. 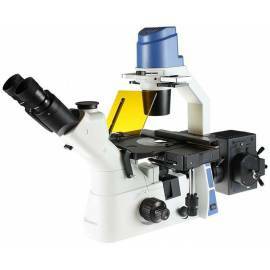 Supplied with fluorescence filters for excitation and blue and green lighting 3 W Köhler NeoLED ™ for bright-field. 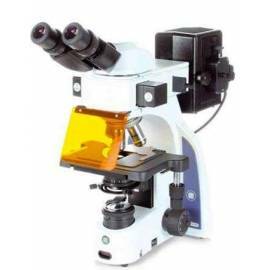 Microscope trinocular inverted for fluorescence Oxion OX.2253-PLF with stage mechanical PL Fluarex 10/20 / 40x - Rail for 2 filter blocks and with carrying case. 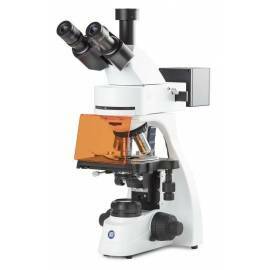 Microscope trinocular inverted for fluorescence Oxion OX.2453-PLF with stage mechanical PL Fluarex 10/20 / 40x - Rail for 4 filter blocks and with carrying case.